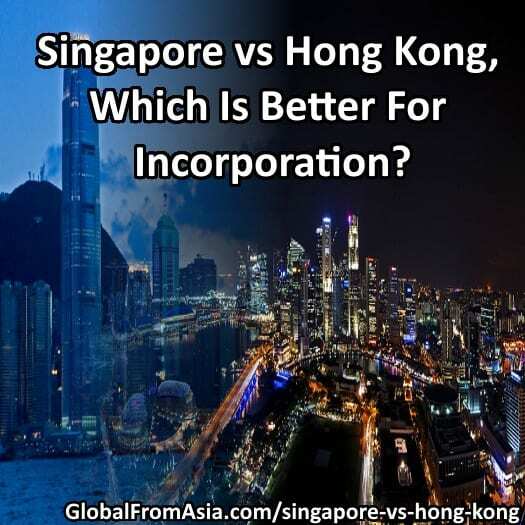 Singapore vs Hong Kong, Which Is Better For Incorporation? 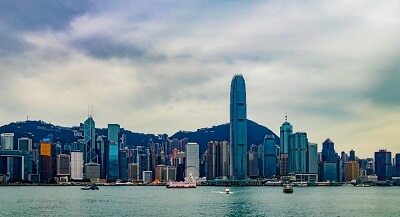 A top question I get is should I setup my international business in Hong Kong or Singapore? It varies on your specific needs, we will go through the various factors today. It is quite a close call really. Both have good legal and corporate systems with English throughout. Often you will see the 2 regions competing in various top destinations for your Asia headquarters. First, why are these 2 places such top places? Great banking, English systems, strong legal systems, and low tax rates. Because they are smaller regions, they are able to get better efficiencies at managing their tax income and can pass those savings onto its people and companies registered there. Both allow the company to be 100% foreign owned. No need for a local partner who has shares in the company. Many MNCs (Multi National Corporations) choose between these 2 spots when opening their Asia base, and there is a friendly competition between HK and SG oftentimes in news and social media chats. Here is one of the bigger differences in the corporate structures of Hong Kong and Singapore – secretary and director. In Hong Kong, all directors can be foreigners. But there is a requirement for a local company secretary, which can be a Hong Kong local person or a registered Hong Kong limited company (Global From Asia’s parent company, Shadstone Limited, is a company secretary FYI). A company secretary is much less involved in the daily operations than a director. What a company secretary can do is help file documents on the company’s behalf, and talk to the government and tax office on behalf of the company’s directors. In Singapore, there must be a director who is registered locally with the government. This is a bit more of an intimate relationship and more involvement is needed. Therefore, the costs are a bit higher to pay for a Singapore director to be on your company. They will also need to be part of your annual meeting, that needs to happen physically in Singapore each year. With these smaller differences, it gives Hong Kong a little bit of a cost advantage and less involvement from a “necessary” company owner/director. Banking is great in both regions. Multi currency, online banking, not a big deal to do large transactions globally in multiple currencies. Think we all have had experience in some banks which lock our account because they see us do international business and think it is a red flag. Why is international business a red flag? I have to disclose I do not have much experience with Singapore except from what I hear in the industry. The bank account opening fees and minimums seem higher across the border there than in Hong Kong. But, unfortunately, the bank fees for Hong Kong banks have been steadily increasing. This is due to the higher amount of paperwork and KYC (Know your Customer) procedures various country regulators have put in place. The banks aren’t willing to absorb all of this cost and therefore are increasing the bank account application fee more and more as time goes on. My advice to people is the sooner you can apply for the bank the better! Anywhere in the world! Singapore has done a much better job in getting investment money for startups and entrepreneurs going. The Singapore government backs a lot of the VC (venture capitalists) by matching the funds they invest in startups. This has created quite an amazing startup community in Singapore. Even as much to say that a lot of entrepreneurs in Hong Kong go to Singapore to raise capital! Though we do see a lot of improvement in the Hong Kong startup scene, beyond more coworking spaces, to actual investment programs and support for budding entrepreneurs. Yet we still have to give the winner to Singapore here. 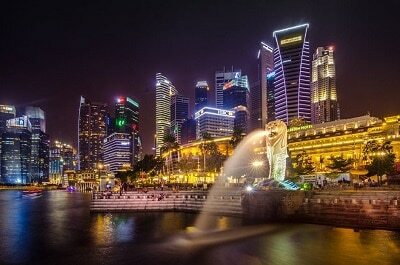 If you want to do a tech startup and raise venture capital, I’d recommend first going to Singapore. Where are you selling? Will you have customers in Hong Kong or Singapore? Any preference? Or neither? By having a local bank account where your customer is, it makes it much easier to get paid. And stand out from the competition. So if you want to get customers paying you locally, and they have a HSBC HK bank account, for example, then it will be much easier if you also have that HSBC bank account in Hong Kong. And on the other side, where is your suppliers? Who will you be paying? If you’re dealing with Chinese factories, they will much more likely have a Hong Kong bank account than a Singapore bank account. On the other side of the coin if you’re targeting South east Asia, a lot of those businesses have a Singapore structure in place and bank account rather than a HK bank. Really depends on who else you plan to do business with. For year, South East Asia was losing attention to China. But over the past few years it has been picking up more and more. Investors paying attention to Thailand and Philippines and Vietnam. Yet opening a company in those places is not as convenient for doing business with global markets and dealing with large amounts of capital, so most setup a Singapore structure. While you can own a Southeast Asian company in a Hong Kong business, it is just more common to use a Singapore structure. I’ve used my Hong Kong business while down in Philippines and it was quite helpful. Also worth noting Malaysia is right next door to Singapore and a massive market. Yet to do business there is still being smoothed out and in the meantime many people leverage the power of Singapore for their larger transactions and capital holdings. My favorite part about Hong Kong is that it is right on the border of Mainland China, yet as a SAR (Special Administrative Region). So it is a great place to setup your parent company and prepare for market entry into Mainland China. You are able to hold RMB (Chinese Yuan) currency in the bank account in Hong Kong, which is a great way to protect yourself from fluctuations in the currency. On top of that, HKD (Hong Kong Dollar) is pinned to the USD so you also are locally dealing with a US dollar economic situation. So in a funny way, you are next to China but the main currency is locked to the USD. Tons of Mainland Chinese companies setup in Hong Kong, and often times you can do business in China even with a HK company (though not sustainable for long term growth and true local presence). As your Hong Kong business grows and your are comfortable to do business inside of Mainland China, you can use the HK company as the parents company in a WFOE (wholly foreign owned entity) structure. Once you start the paperwork, Hong Kong accountants and bankers are familiar with this structure. Yet if you try to have a Singapore company or other country as the parent company of a Chinese WFOE, it will be a bit more exotic and some service providers may not as readily be able to help you. So any consultant will tell you, if you want to take baby steps into Mainland China, and still be able to run a global company, Hong Kong is your spot. At the same time it’s an advantage Hong Kong is at the doorstep of China, it is also a risk. There was the Occupy Hong Kong protests in late 2014 that shocked the world. And it scared me too! Many people reading this very blog asked me what would happen if Mainland China used force. Let’s try not to get too political, and keep this on the business side. I don’t see Mainland China forcing Hong Kong to follow the laws and policies the same as Mainland China, ever. Why? Because many Chinese officials also have a lot invested in Hong Kong. By allowing Hong Kong to have this separate system, it has attracted a lot of foreign investment. To change that suddenly would risk economic collapse. Companies would flee, real estate would crash, and it would be hard to repair. The Chinese government sees this and will allow companies to keep their international banking standards, lower corporate taxes, and English legal and admin systems. Still, it is a risk worth adding in this article. Predicting the future is something only a mind reader can do. While many of you reading this aren’t choosing between Singapore and Hong Kong for the living standards, it is worth mentioning. Both are pretty amazing places to spend some time in. The quality of living is about the same, though if I were to pick one, I’d have to pick Singapore. Even though I’ve only been a couple times, there is less pollution and more strict rules from government about living standards. I hope my friends reading this don’t think I turned my back on Hong Kong! They are both so close but if I have to pick a winner it would be SG! Cleaner, and government keeps things in line more. There are also many Hong Kong people upset as more and more Mainland Chinese come to HK to live or visit. It is already quite crowded and having more people immigrate adds to the stress and congestion. In Hong Kong, you can become a permanent resident after 7 years as a proper resident. That means as an employee or as an investor. Once those 7 years are completed, you can then be granted residency without needing to renew your visa status going forward. But you will not be able to get a Hong Kong Passport. In Singapore, it is possible to become a Singaporean citizen holding a passport. So some who want to do more than become a Permanent Resident in HK opt to go to Singapore to get the passport. You could have a Hong Kong company and apply for a Singaporean citizen, if you’re going to pursue it, may as well put all your eggs in one basket and show them you are investing for the long term, for personal as well as for business. How About You? Hong Kong or Singapore? It’s really a neck and neck race. I’d have to say Hong Kong is a bit cheaper in that you don’t need to hire a local director and the banking is a bit lower fee. But where do you want to live? Where do you plan to sell and do business? Who do you plan to raise money from? Open an office and hire staff? I’m curious your thinking, and what you chose? Leave a comment below with your questions, feedback, or prove me wrong! I tried my best to not show my obvious bias to Hong Kong incorporation. To our mutual success in our global empire expansion! Cast Your Vote – Hong Kong Or Singapore Jurisdiction? We are serious! Now it is your turn to tell us and others which is better for business – Hong Kong or Singapore? Where Do You Prefer: Singapore Or Hong Kong? Which jurisdiction do you think is better? Can I open s bank account in honk Kong ?